They've come from miles away to see you off on your journey of a lifetime, simply because you mean so much to them. 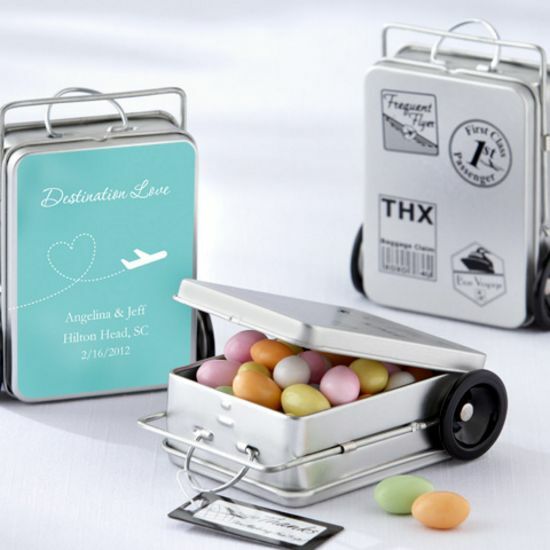 Show your guests how very much they mean to you and thank them sincerely for making the trip with our "Miles of Memories" Personalized Suitcase Favor Tins. Amazing detail makes these tins extraordinary! 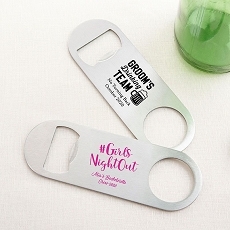 Hang tag says "Thanks for Making the Trip!"